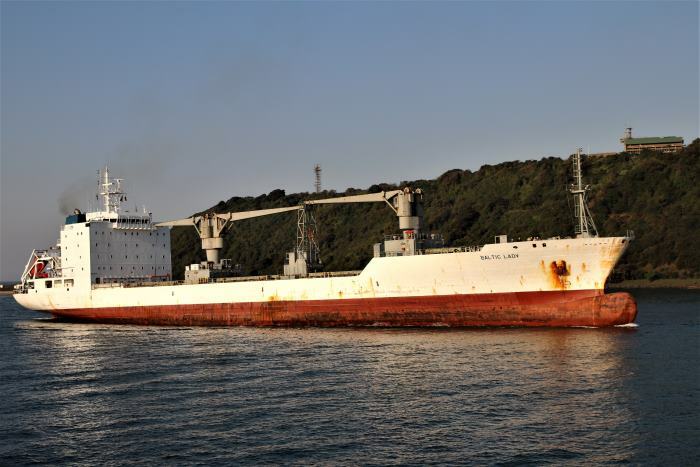 A fire has enveloped the Taiwanese longliner HSIANG FUH No.6 forcing the crew of 30 to abandon ship 740km northeast of Durban and nearly 500km offshore. 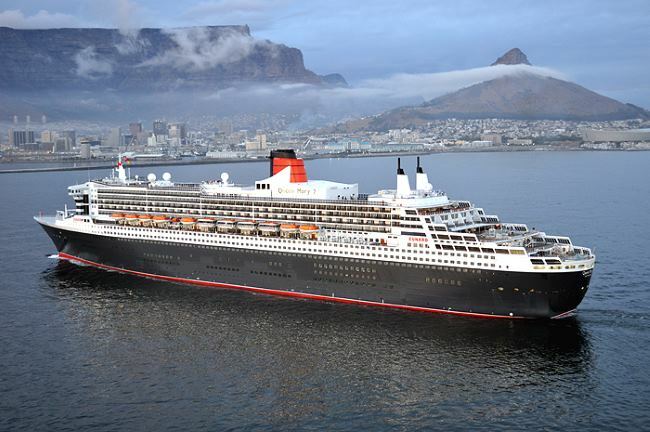 SAMSA, which is jointly coordinating the rescue reports that some of the crew suffered burns. 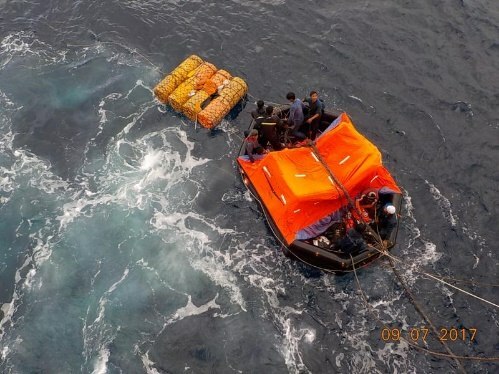 The crew took to life rafts and have since been picked up by ships that responded to the MAYDAY. 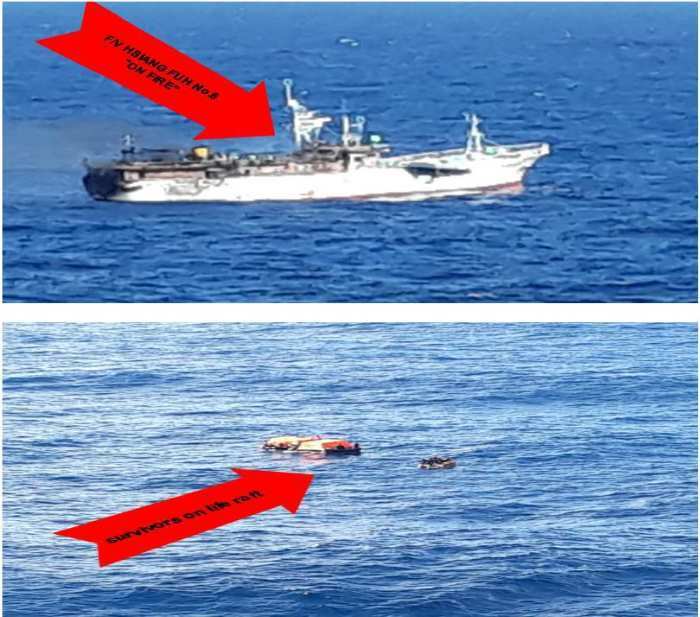 One of these is the container ship EVER DIADEM which was sailing about 10km away and which has recovered 16 of the crew, while a second responding ship, the bulker SBI ANTARES picked up the remaining 14. 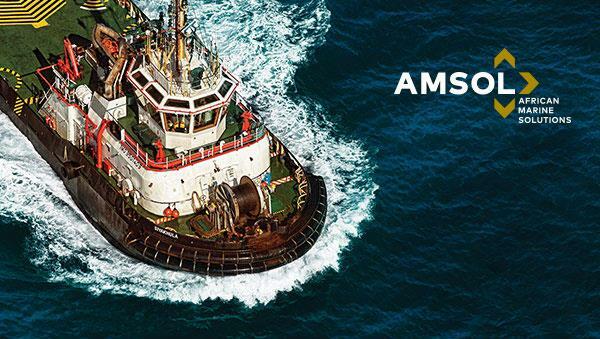 A third responding vessel, the bulker HAMPTON BAY has since been released from the scene by the Maritime Rescue Co-ordinating Centre in Cape Town (MRCC CT) which is co-ordinating the rescue together with SAMSA. One of the crew that suffered burns was evacuated this morning (11 July) by a South African Air Force helicopter as the Ever Diadem reached 60km north-east of Durban and has been brought to a Durban hospital for treatment. A warning has been issued for the abandoned and unmanned vessel still adrift. 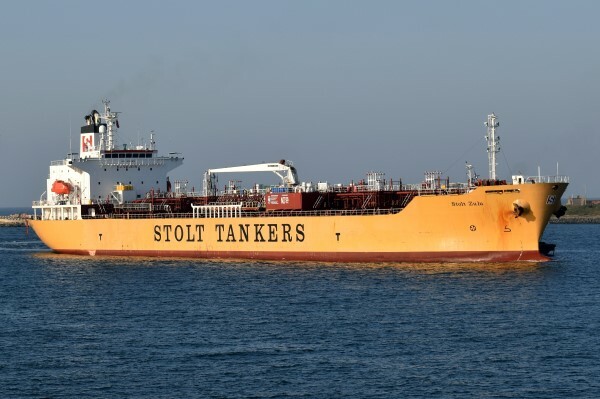 SAMSA said that necessary arrangements for the safe delivery and repatriation of the sailors, Philippine, Indonesian, Taiwanese and Vietnam, have been made and they would be met by representatives of their countries on arrival in Durban. 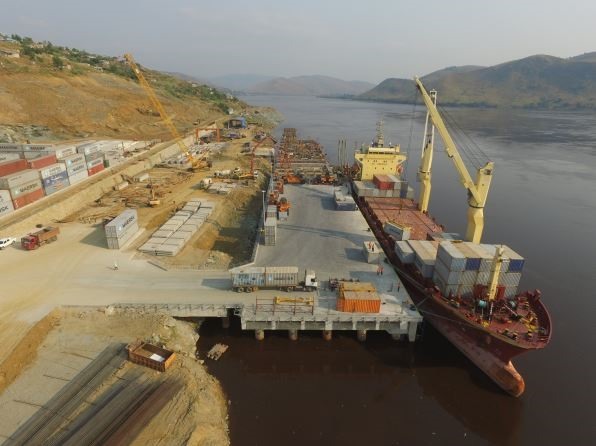 International Container Terminal Services Inc. (ICTSI) and the dredging contractor Dredging International have signed a Memorandum of Understanding (MOU) to co-operate in the further deepening of the Congo River. With DRC Government support, the consortium intends to deepen the Congo River, in phases, to an eventual depth of 40ft and beyond. This will eliminate current draught restrictions in the Divagante area near Boma, and enable direct calls by mainline vessels at the ports of Matadi and Boma. The consolidation of shipping lines continues, leaving cargo owners with increasingly fewer options when it comes to shipping their containers. 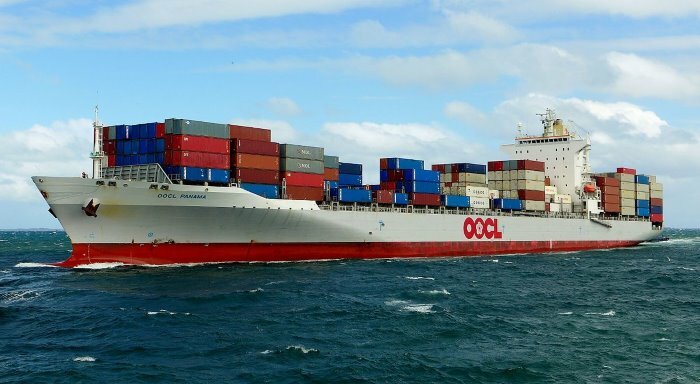 The latest link-up of two companies involves the takeover of OOIL (Orient Overseas International), the owner of OOCL (Orient Overseas Container Lines), by China’s Cosco Shipping, itself a merger between COSCO and China Shipping Container Lines (CSCL). Pretoria – South Africa has become the 19th country to sign an agreement establishing the Tripartite Free Trade Area (TFTA). Signed on Friday (7 July 2017), the TFTA represents an integrated market of 26 countries with a combined population of 625 million people and a total gross domestic product (GDP) of US$1.6 trillion. South Africa signed the agreement in Kampala, Uganda, during the meeting of the Tripartite Sectoral Ministers’ Committee. The TFTA was launched by the Heads of States in Sharm el-Shaik, Egypt, in June 2015 and South Africa did not sign the agreement at that stage since there was outstanding work in some of the annexures to the agreement. “All the annexures have been completed and adopted by the tripartite Sectoral Ministers Committee, enabling South Africa to sign the agreement. South Africa is 19th country to sign the agreement,” said the Department of Trade and Industry (dti). The agreement will enter into force once 14 countries submit their instruments of ratification. Egypt recently became the first country to ratify the agreement. Once the agreement enters into force, it will reduce the tariffs on goods traded between the tripartite countries and create new opportunities for exports as well as regional value chains. 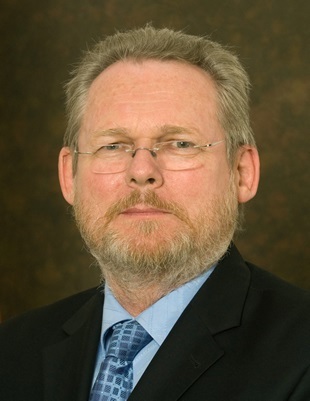 Trade and Industry Minister Rob Davies, who attended the Sectoral Ministers Committee meeting, said the TFTA is an important initiative in accelerating regional integration efforts to ensure that African countries trade with each other. South Africa, the Minister said, has been a champion of the tripartite process from the beginning and it has committed to the process. Minister Davies said the country is pleased to be in a position to sign the agreement. 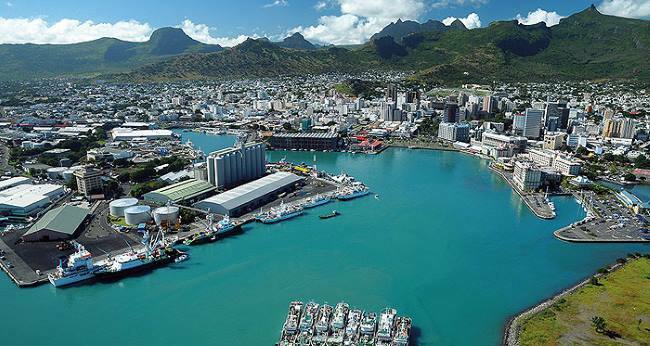 He said while the outstanding annexures were being finalised, South Africa, as part of Southern African Customs Union (SACU), participated in the negotiations to finalise the bilateral tariffs commitments. Tariff negotiations between SACU and Eastern Africa Community (EAC) are very near to conclusion. “The conclusion of these negotiations will be another important step forward in the process, since it will provide commercial benefits to our business people by enabling them to trade products between SACU and EAC countries at a reduced or zero tariff,” said Minister Davies. 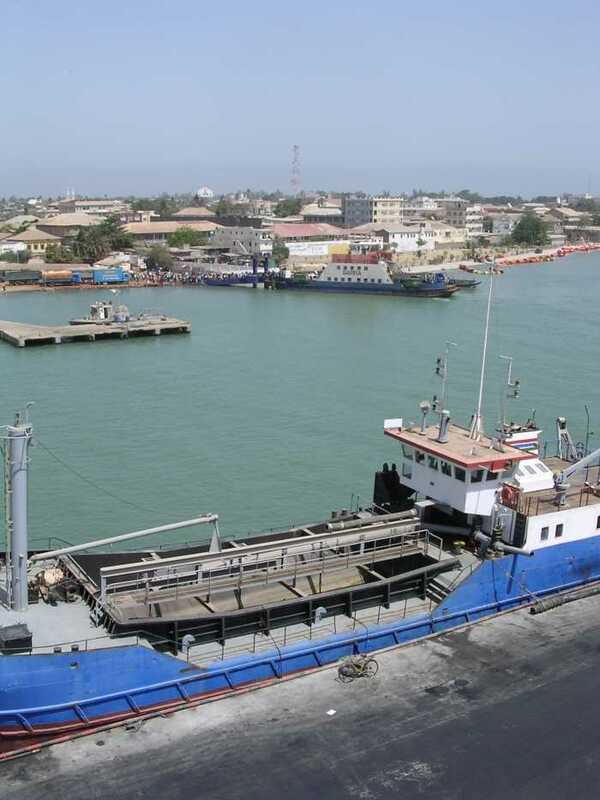 Following the overthrow of the dictator, Yahya Jammeh earlier this year, investors are reported to be looking to upgrading the Gambia port of Banjul. The Nigerian media is reporting that port workers are about to embark on nationwide protests today (Tuesday 11 July) regarding elements of the Ports and Harbour Bill, which they fear could lead to large-scale job losses. 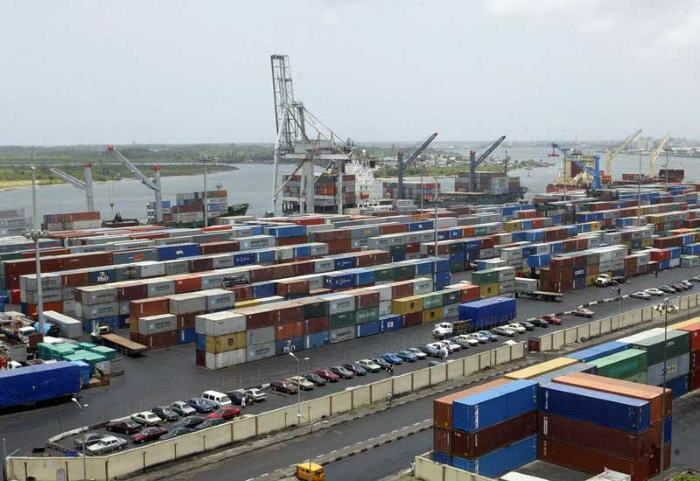 The Maritime Workers Union of Nigeria (MWUN) says that the protests will take place at all the country’s ports. Global Operations Award 2017, Highly Commended. Awarded to the best single image that is judged to create the most impact portraying the Royal Navy’s global maritime responsibilities. 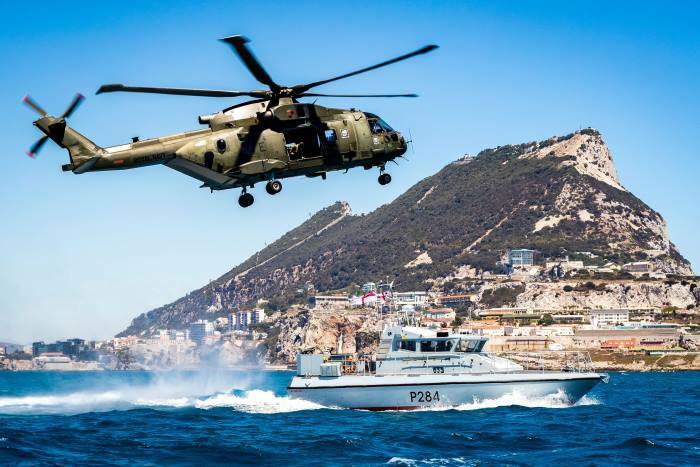 Pictured is a Commando Helicopter Force Merlin Mk3 helicopter and HMS Scimitar, a Scimitar Class Fast Patrol Boat, conducting reassurance and demonstration of UK sovereignty in British Gibraltar Territorial Waters. Working from RAF Gibraltar, two Merlin Mk3 helicopters from 846 Naval Air Squadron based at Royal Naval Air Station Yeovilton, Somerset were consolidating their contingency deployment capability during Exercise Barbary Commando 16 of August 2016. Photo: MoD Crown Copyright 2017 ©. From emotional homecomings on windswept jetties to the action-packed scenes of operations in the Gulf, the Royal Navy’s photographers see all sides of the Senior Service. On 4 July the photographers, who deploy with warships and commando units worldwide, were recognised for their talent, dedication and creativity at the annual Peregrine Trophy awards in London. 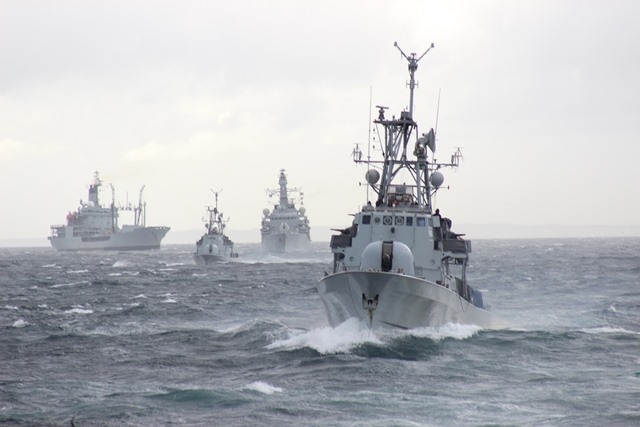 The select few then work with the Royal Navy and Royal Marines on deployments anywhere in the world – from Antarctica to the Arabian Sea, from the UK to the Far East – taking pictures of maritime operations, personnel at work and capturing all aspects of naval life. Every year the best of these images are showcased at the prestigious Peregrine Trophy awards – this year held at Trinity House in London – with the winners congratulated by the First Sea Lord, Admiral Sir Philip Jones. Captain Ian Stidston, the head of the Royal Navy Photographic Branch, said: “The Royal Navy protects our nation by operating around the world at sea, on land and in the air, and our photographers capture every element of that work. With just twelve professional categories and four amateur classes – the competition is fierce and whittled down by an expert panel of judges. There were more than 400 entries for the awards this year. The judges were Luke Brighty, picture editor of Metro, David Botwink, of Maritime Films UK, Jack Ashdown, of digital agency E3, Rob White, of Maritime Films UK, Panay Triantafillides, Ministry of Defence Imagery Editor, and Harland Quarrington, Ministry of Defence Head Office Chief Photographer. The Peregrine Trophy dates back to 1961 and is named after the HMS Peregrine the Royal Naval Air Station in Sussex. The award’s primary purpose is to encourage the production of eye-catching, powerful imagery that can be used in the media to demonstrate Royal Navy and Royal Marines operations. The Best Maritime Image Award Highly Commended 2017. Awarded for the best photograph depicting Royal Navy, Royal Fleet Auxiliary ships and submarines. Amid the fog Type 45 HMS Diamond is docked at HM Naval Base Portsmouth loading bay. Photo: MoD Crown Copyright 2017 ©. Chinese media agency Xinhua reports that with the departure of a cargo train on Monday last week (3 July), the number of such trains between central China’s transport hub Zhengzhou and Hamburg of Germany rose to 12 every week. Such is the extent by which freight is now beginning to be moved on a regular basis across Asia to Europe, and return. The train loaded with 904 tonnes of goods such as computers and machinery parts left Putian station in Zhengzhou, capital of Henan Province Monday night. 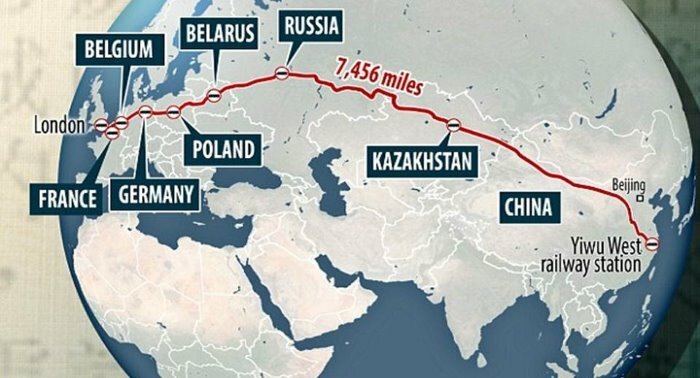 China’s first train to London ran earlier this year (see map above). Soon they will all be commonplace while giving new meaning to the expression ‘long distance train’. The increase in trains marked the expansion of transport capacity on the Zhengzhou-Hamburg rail service, Zhengzhou Railway Bureau said. Previously, ten trains operated between the two cities every week. 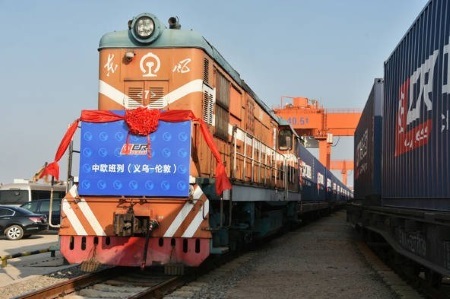 Zhengzhou opened its first freight train route to Hamburg in July 2013. The number of cargo trains has increased dramatically under the Belt and Road Initiative.